​​Unlike the majority of people....we LOVE a Telemarketing Campaign! Business is about engagement and that's where we can help. 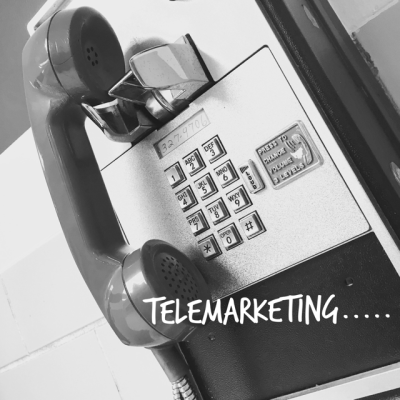 ​A Telemarketing campaign doesn't have to be a cold call, instead view it as an opportunity to engage with people, to remind them of what you do so that when they need the services you offer they remember you before trawling the internet and finding someone else. Each database needs to be dealt with differently. Telemarketing to your existing clients could need nothing more than a follow up call to find out what they're up to, check how they got on with your service the last time they used you and let them know what you've been up to. Let them know you haven't forgotten about them, we all want to feel loved! We believe it's about using a light touch, an introduction to engage with someone who possibly has no idea about you or what you do. It's about getting across the important information in such a way that people don't feel like they're being sold to. Re-connecting with those you've crossed paths with at some point in the not so distant past can be hugely beneficial to any business. The initial engagement is likely to be a reminder that you once shared a conversation at a networking event, may have worked for the same organisation at some point or share a vested interest in a specific industry. Whatever your reason for engagement, we can agree on a relevant script, make the important calls, track the responses and follow up where required. We're here to help you engage.